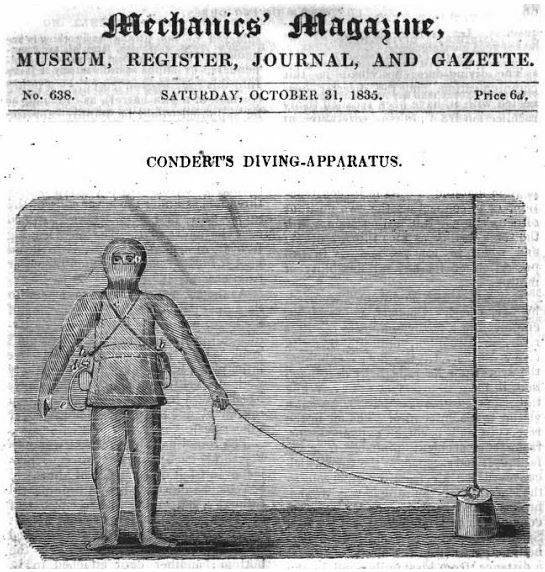 Charles Condert, an American engineer, developed in 1831, the first type of real scuba or Self Contained Underwater Breathing Apparatus. The air was pumped into a horseshoe-shaped copper tube wrapped around the body of the diver before entering the water. A manual valve allowed the control of the flow from the air reservoir into the diving dress.